If you haven't seen it - go for it! It's the biggest and the best Polish Festival in the western United States. This year the Festival features three exhibitions, a live demonstration of a Polish Winged Hussar plus two full days of performances by the best Polish folk groups from the west coast US and Canada as well as an Estonian and Croatian group, variety of merchandize and tons of pierogi, other Polish food as well as Polish beer. There are also polka contests on both days and dancing on the Saturday evening. Miss Polonia election in Vancouver is a popular local event that includes cocktails from 6 pm, an elegant dinner at 7 pm, Miss Polonia 2008 elections from 8:30 till 10:30 pm and then a disco dance till 4 am. Organized by Bozena Lukomska-Khan and the Polonez Tri-City Polish Association from Port Coquitlam, BC. The book for the meeting is Obywatelka by Manuela Gretkowska published by Wyd. Swiat Ksiazki (Bartelsman) in 2008. The book is a diary of the writer going politician and establishing a feminist party before the 2007 election in Poland. The book can be bought on the Internet or borrowed from Club members. Club meetings are in Polish. Dr. Frank Wilczek is a Professor of Physics at MIT Center of Theoretical Physics and the Nobel Prize winner in physics in 2004. At his lecture at the Town Hall he will discuss his last book The Lightness of Being: Mass, Ether and the Unification of Forces. 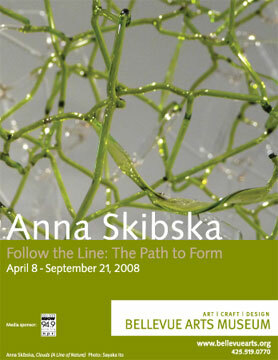 Anna Skibska is an internationally acclaimed artist working primarily in glass. Ms. Skibska is a graduate of the Arts Academy in Wroclaw, Poland and a Seattle resident. Her exhibition Follow the Line: The Path to Form runs till September 21, 2008. Also: see a note about an artist studio tour. 12 noon - Mass at the Church, 1:15 pm - Ribbon Cutting Ceremony, 2 pm - Dinner. The Polish Home cabaret troupe To i Owo invites to the program in Polish called I to jest zycie - c'est la vie! This program was premiered at the Polish Home a year ago and shown successfully from Portland to Vancouver. Everybody is invited to a great evening! The restaurant and the bar will be open for the occasion from 5:30 pm. 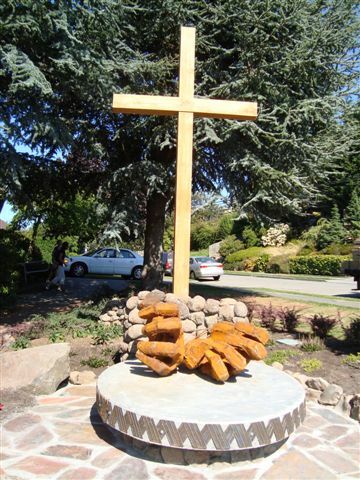 All profits from this event go to the John Paul II monument fund; the statue will be erected at the Polish Church in Seattle. Where: at the Polish Home; tickets $12 advanced, $15 at the door; donations to the monument are welcomed. The first Seattle International Piano Festival is a 6-day event featuring lectures by Ivona Kaminska and Christopher Bowlby, competition rounds at Benaroya & Sherman Clay, master classes at Cornish as well as winners' recitals on Septemeber 21 at Benaroya for Professional, Collegiate and Amateur categories and on September 22 at Sherman Clay for the Youth categories. Organized by Seattle International Piano Festival with Dr. Ivona Kaminska as the President. Gen. Miroslaw Hermaszewski is the first and only Polish astronaut, having flown aboard Soyuz 30 in 1978. A fighter pilot by profession, he is retired from the Polish Air Force as a Brigadier General. Gen. Hermaszewski comes to Seattle to attend the 21st Planetary Congress of the Association of Space Explorers. At the University of Washington he will talk about his experience. Organized by the UW Polish Studies Endowment Committee. Dr. Ivona Kaminska, local pianist and the President of the Seattle International Piano Festival will open the event with her lecture on Historical, Sociological and Emotional Aspects of Polonaises and Mazurkas especially in music of Frederic Chopin. Dr. Kaminska is a Director and co-Founder of the Chopin Academy of Music in Issaquah. Stanislaw Michalkiewicz is a popular conservative author, publicist and columnist closely affiliated with the Catholic Radio Maryja of Torun, Poland, as well as weeklies Najwyzszy Czas and Nasza Polska. Mr. Michalkiewicz published several books on different topics related to Polish politics and conservative agenda. The Juliusz Slowacki Polish School in Seattle offers classes to individuals of all ages and varying degrees of language skills. Children from grades 1-8 learn Polish language and literature, as well history and geography of Poland (assignment is based on the proficiency level in Polish). Adults can learn Polish as a second language at beginners and intermediate levels. All classes at the Polish Home in Seattle, with some groups, including adults meeting on Mondays and others on Saturdays. The first day of school is September 13 for the Saturday classes and September 15 for the Monday classes. Attractions of the evening include the best live Mexican band in Greater Seattle area, The Mariachi, playing from 7:30 pm to 8:30 pm, followed by music to Latin rhythms (salsa, rumba, cha-cha, tango ..). by DJ from 9 pm till 1 am. In between nice surprises and also a raffle. The doors open at 6:30, the restaurant is open till 10 pm, the bar menu includes tequila and Corona for the evening! All profits from this even go to the Polish Home Expansion Project. The Fr. Jan Twardowski Polish School in Bellevue invites children from the Eastside and Seattle areas. The School is separate from the Polish School in Seattle. Subjects include Polish language, geography, history and culture classes offered to children from grades 1 to 8, based on proficiency in Polish. Additionally, the School teaches Polish as a second language for children. All classes are held on Wednesdays at 6:00 pm at the St. Louise Parish School in Bellevue. Passport regulations in Poland do not allow for submitting applications by mail; one needs to apply in person before a Polish consul. Consul Marzena Gronostajska comes to Seattle on September 6 & 7, 2008, to handle applications from local Polish citizens. Mr. Marian Strutynski handles the sign up list for the Consul's visit to Seattle. Passport application forms cannot be printed from the internet, but the Consulate in Los Angeles sends forms upon request. In Seattle, the forms can be picked up ahead of time from Mr. Strutynski. To signup, please contact Marian Strutynski at mstrutynski@msn.com or (425) 746-3037. There are a few last reservations left. Where: at the Polish Home in Seattle, according to the scheduled reservations. More: Polish passport regulations (in Polish). The Polish Home in Seattle opens for business as usual, including the restaurant, on September 5, 2008. Fr. Jan Twardowski Polish School in Bellevue invites to an open house all who want to meet the teachers or enroll their children. The School is separate from the Polish School in Seattle. Subjects include Polish language, geography, history and culture classes offered to children from grades 1 to 8, based on proficiency in Polish. Additionally, the School teaches Polish as a second language for children. All classes are held on Wednesdays at 6:00 pm at the St. Louise Parish School in Bellevue. The first day of school is September 10, 2008. The Polish Home construction continues in September. PH is accessible during construction. See pictures here. 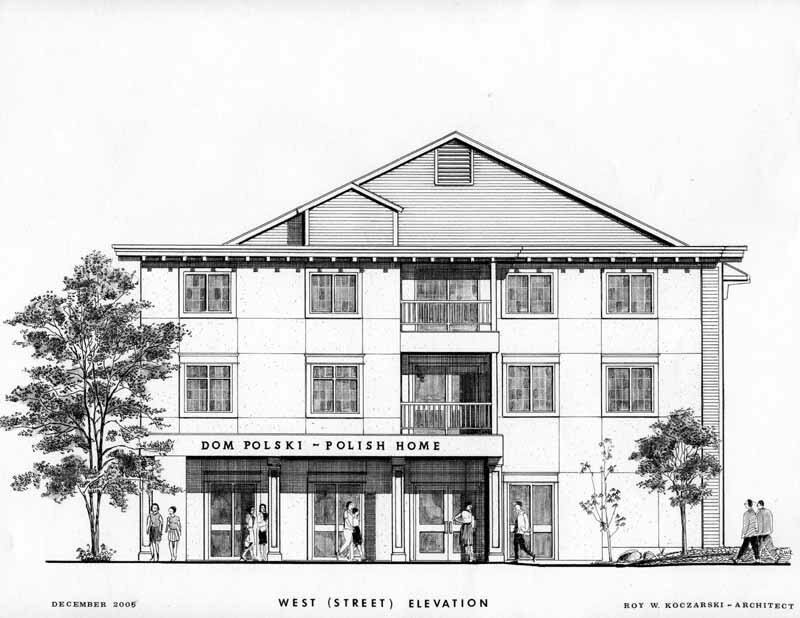 The Polish Home Board of Trustees has signed a contract with Shinstine Assoc as the general contractor for the construction of the building extension starting in August, 2008, for $433,000. The current plan is to build the "shell" of the extension towards 18th Ave with the functioning elevator.